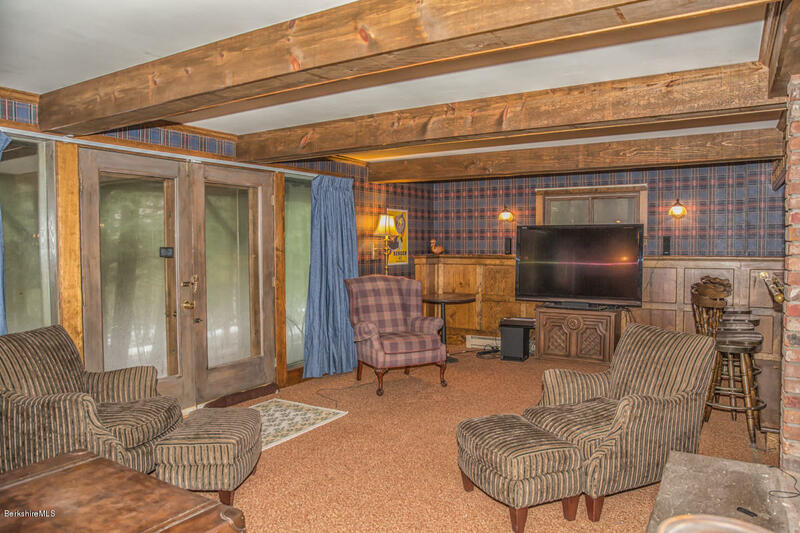 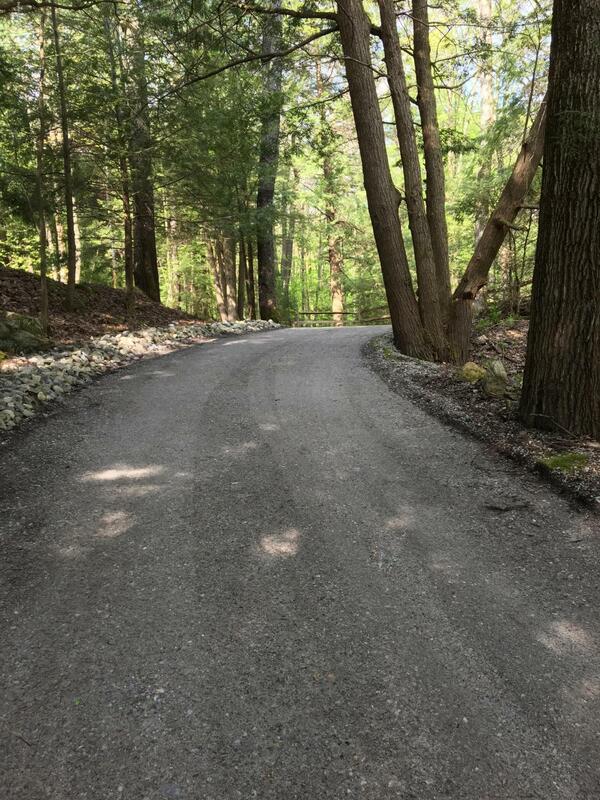 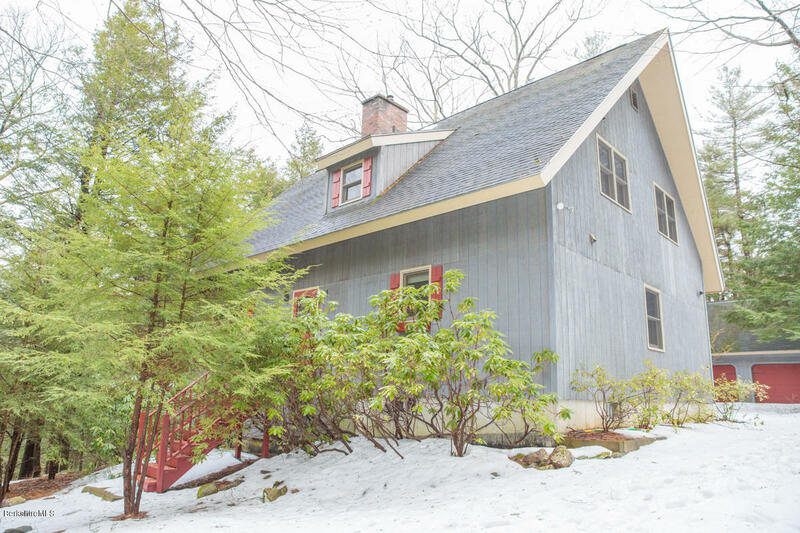 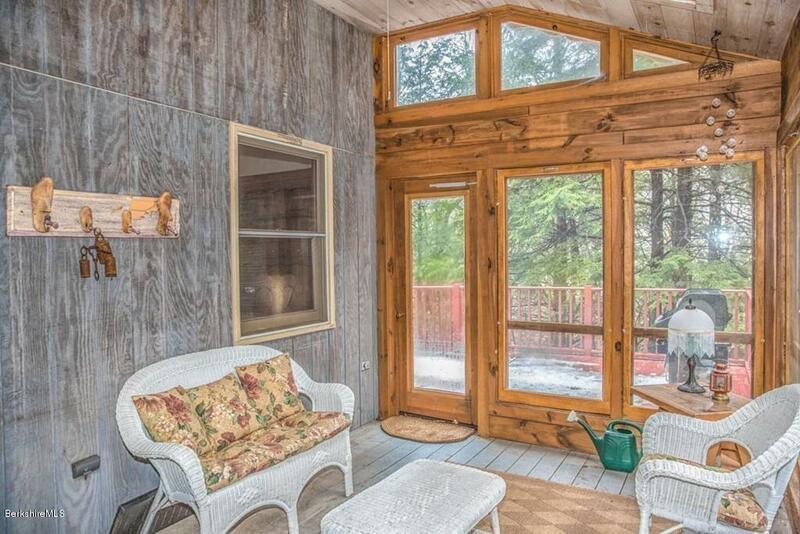 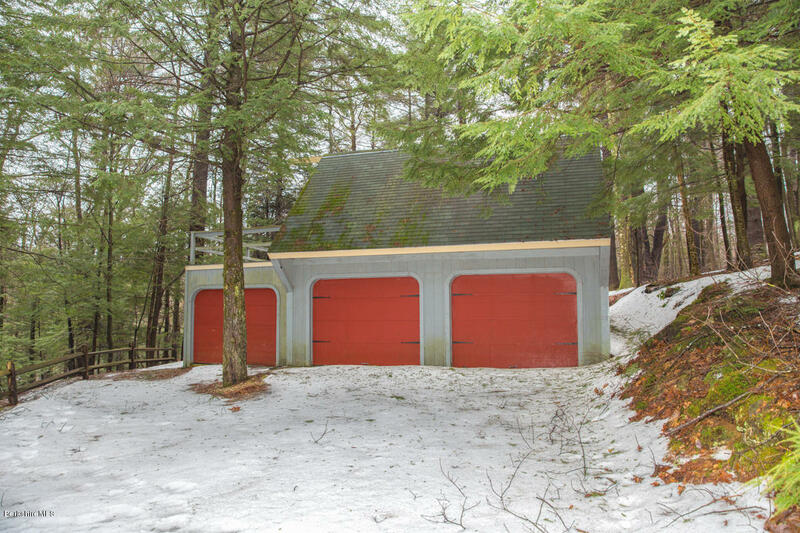 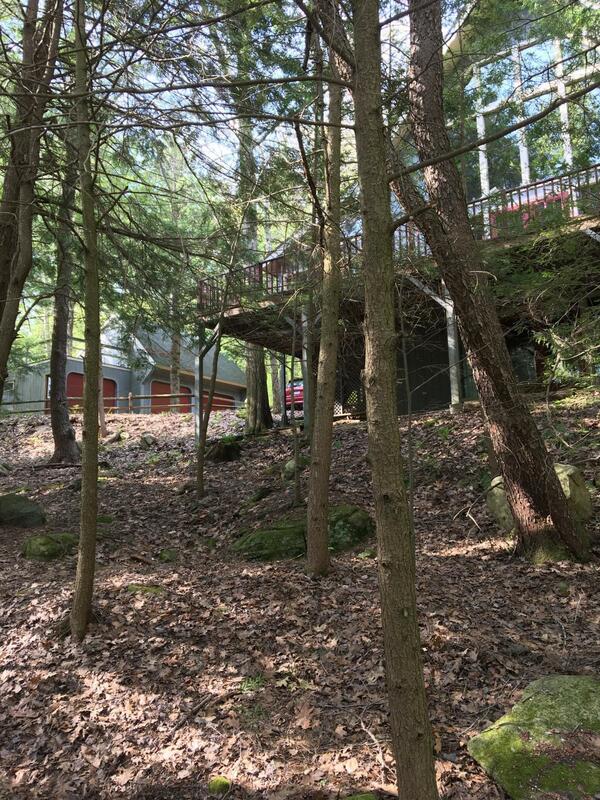 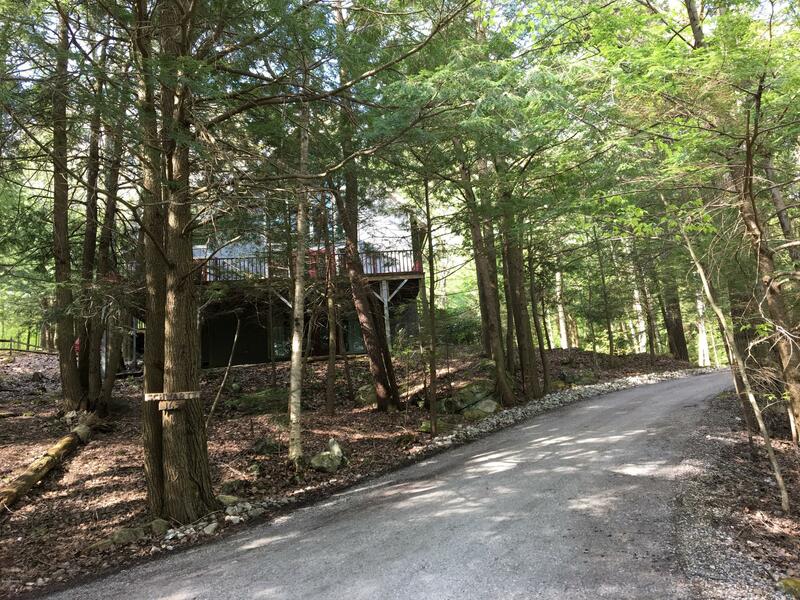 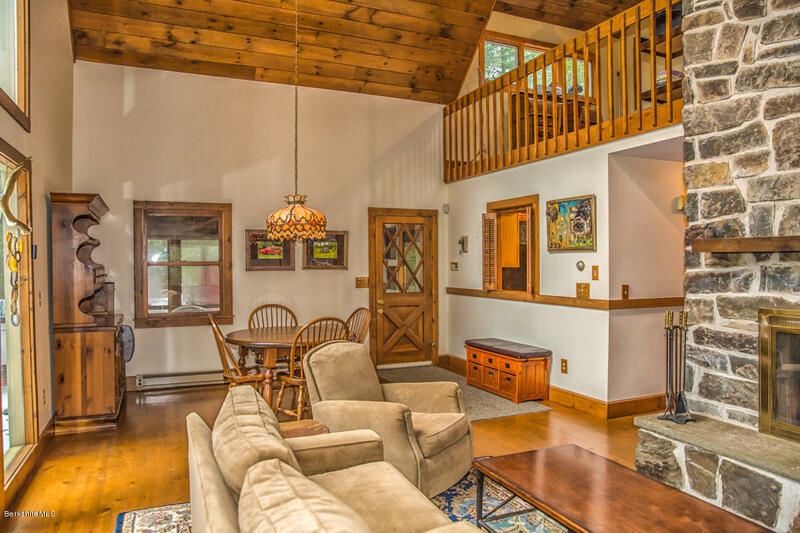 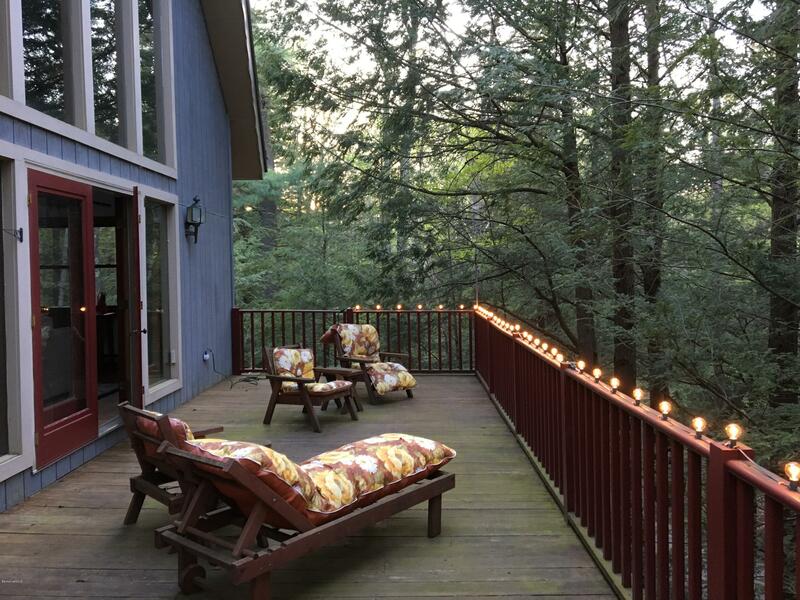 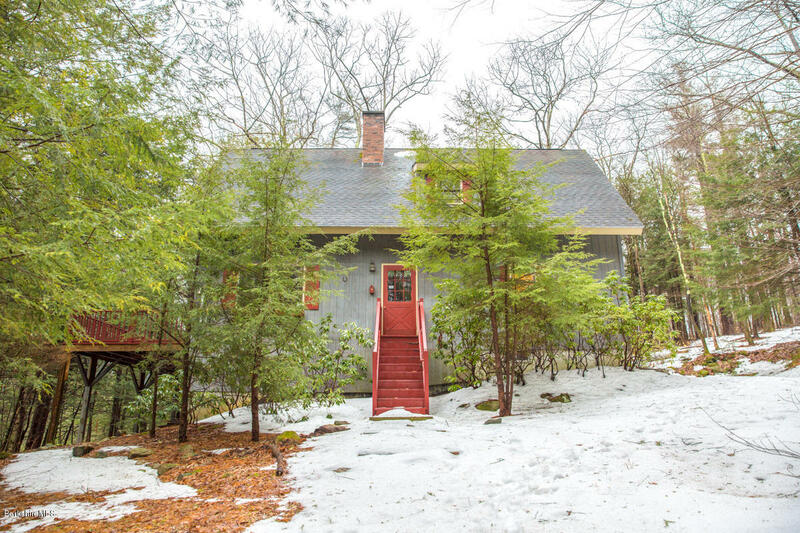 Tucked in acres of woodland, on the end of quiet dead end road, and only minutes from the Prime Outlets, Jacobs Pillow, & Lee. 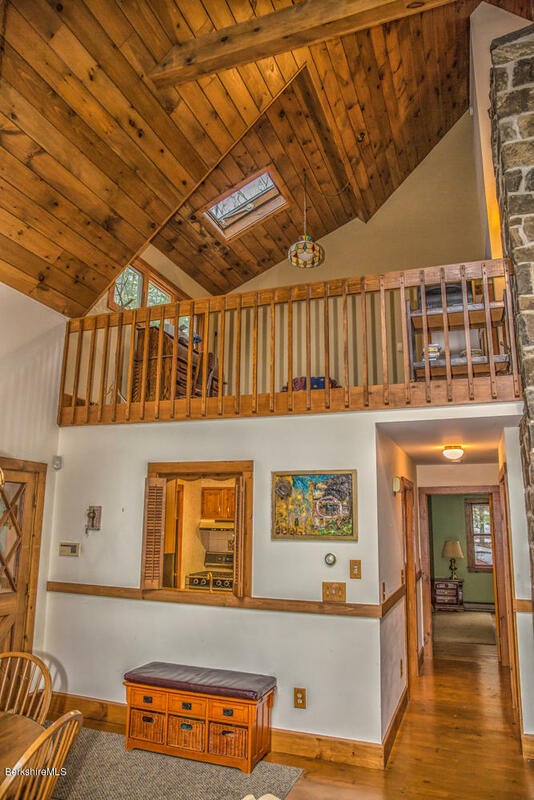 You will fall in love with this 3 level Contemporary home. 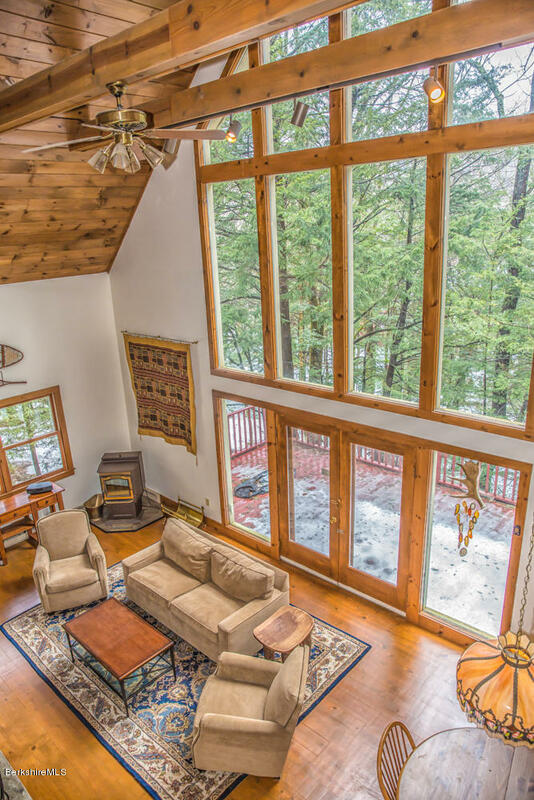 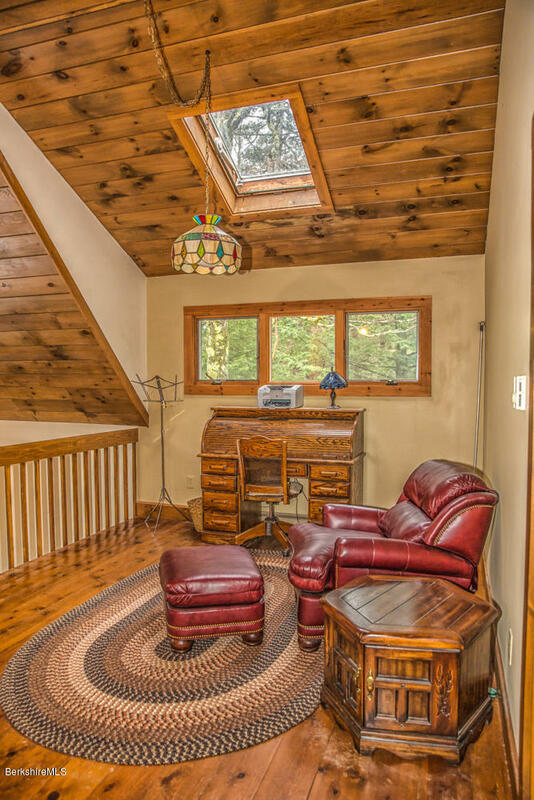 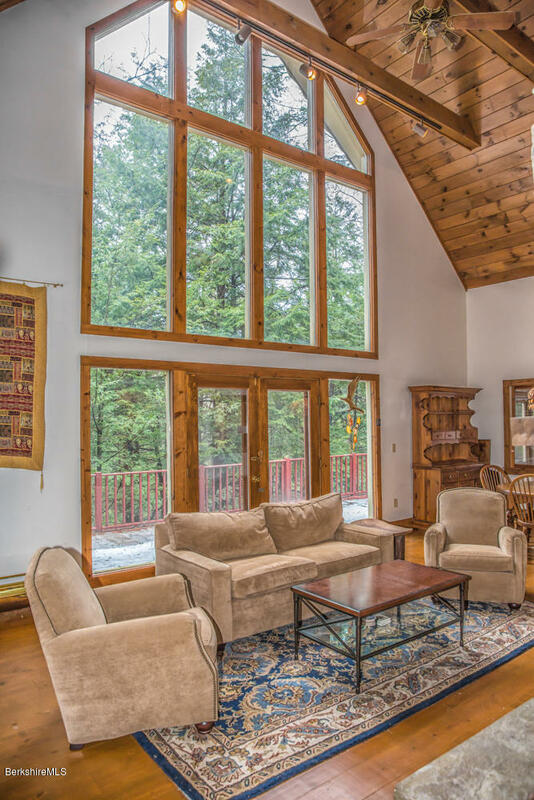 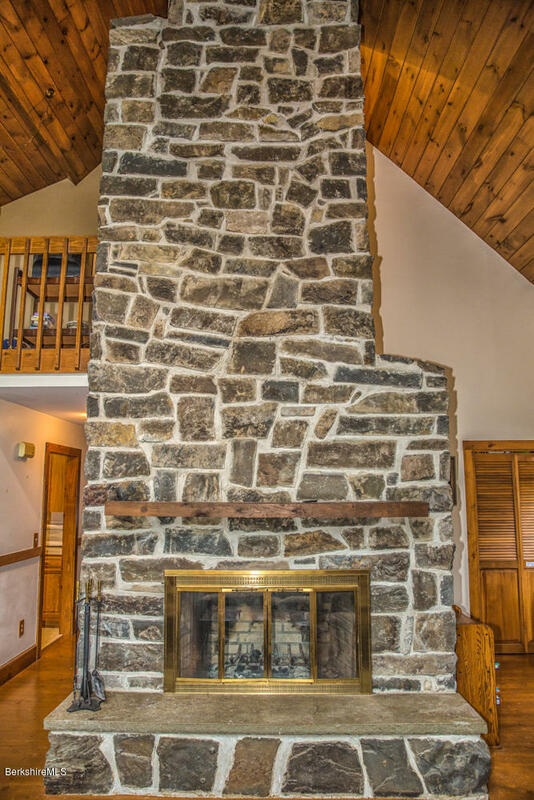 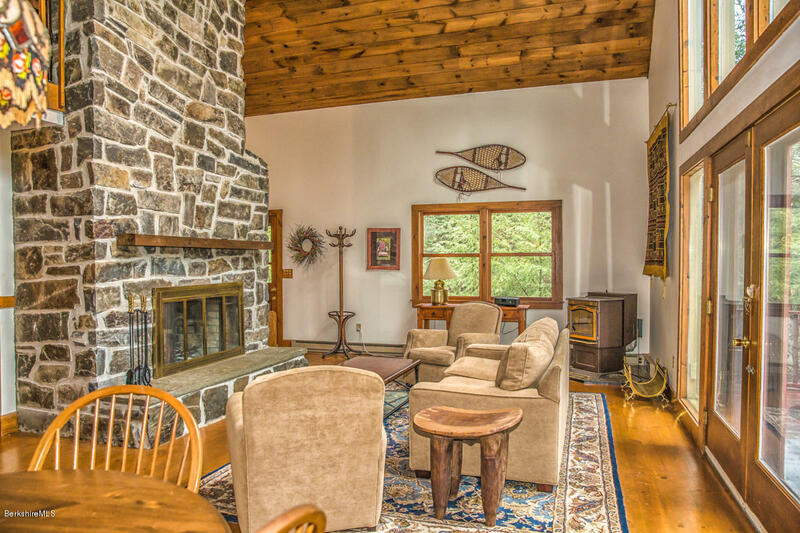 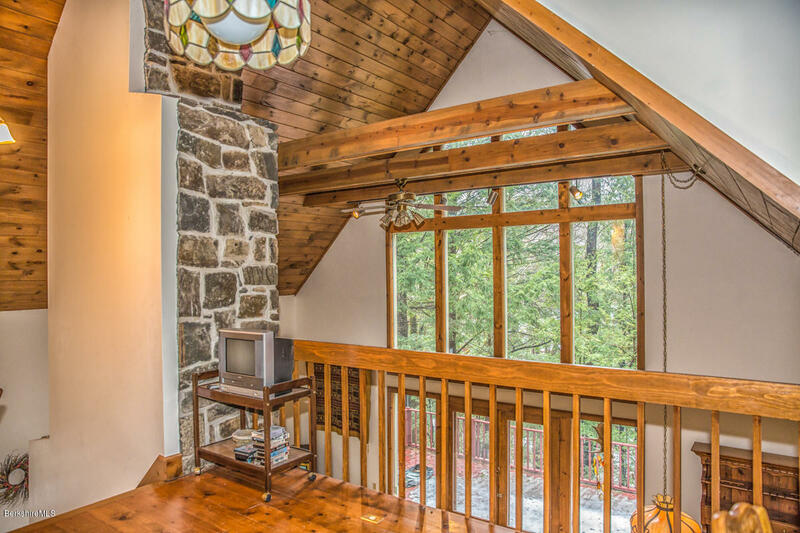 As you walk in the door, your eyes will immediately be drawn to the stone fireplace that reaches up all the way to high vaulted/beamed ceiling along with pellet stove. 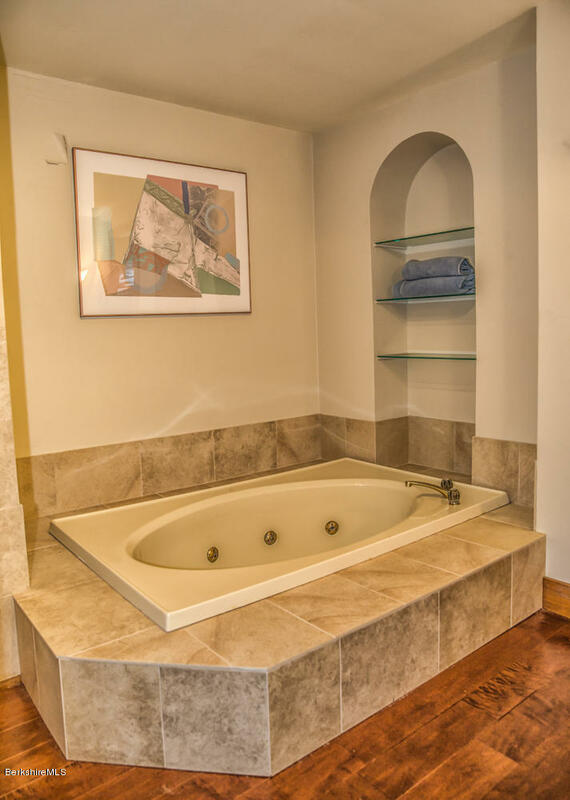 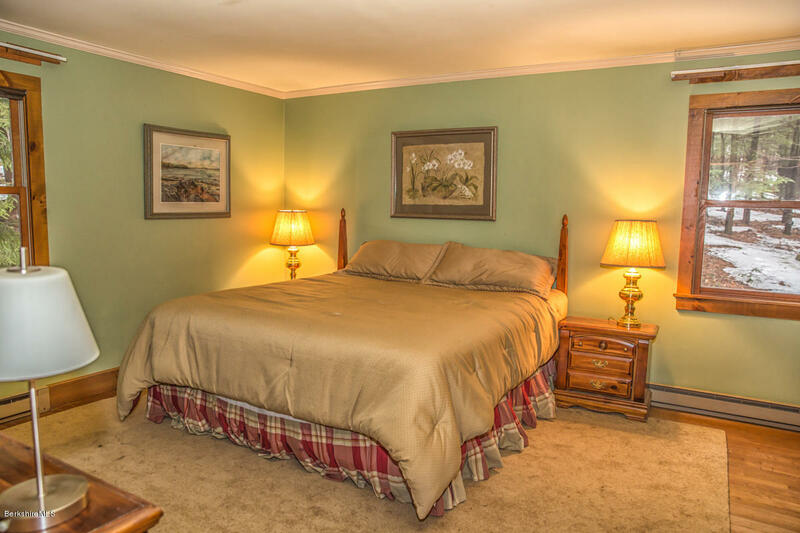 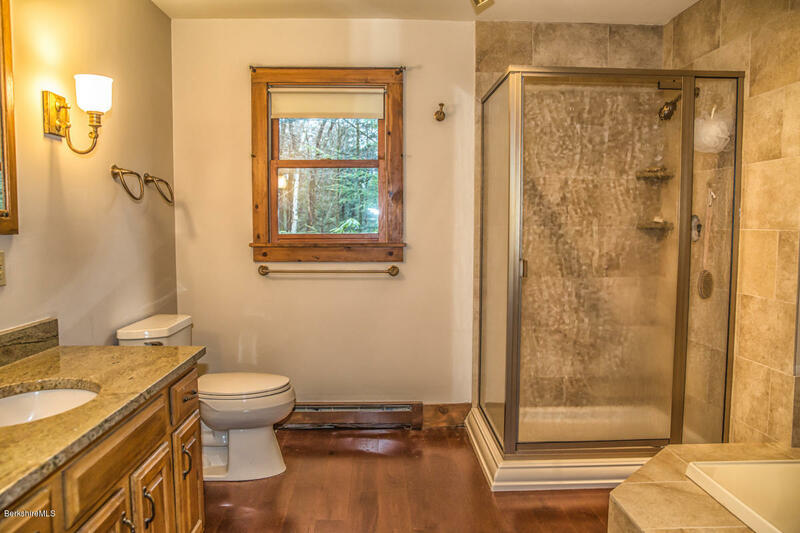 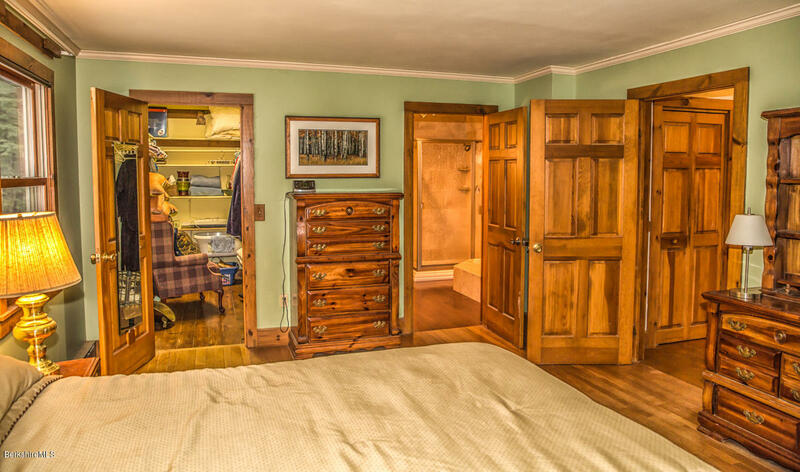 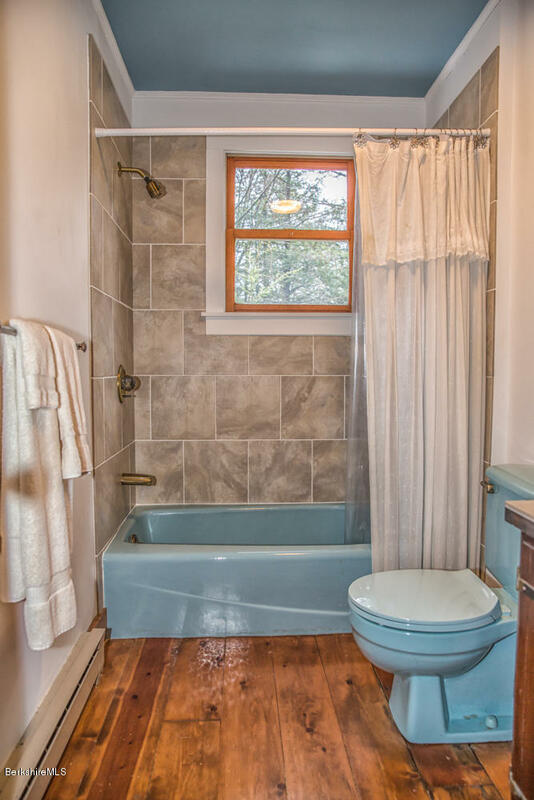 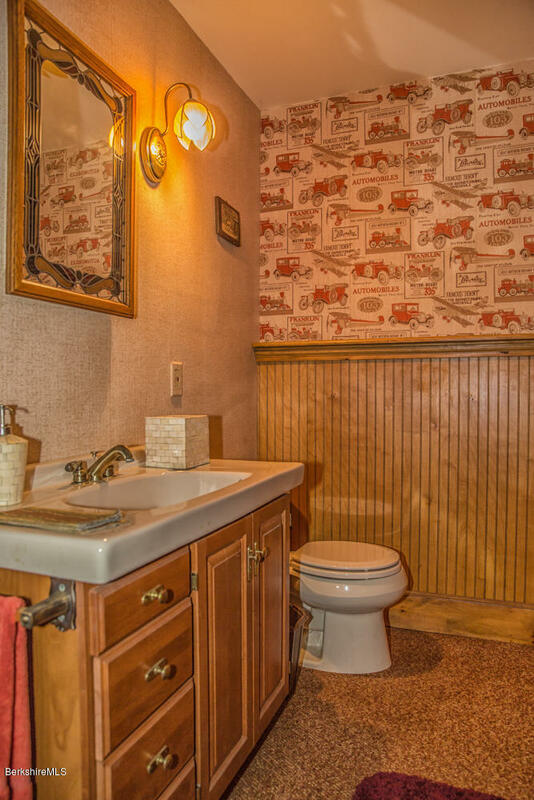 Master suite on first floor for your convenience, beautifully updated Master bath with soaking tub that truly feels like a resort. 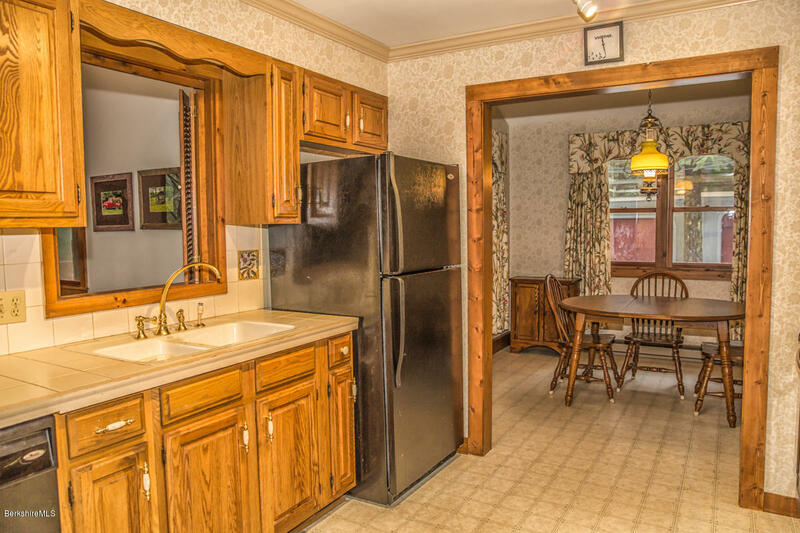 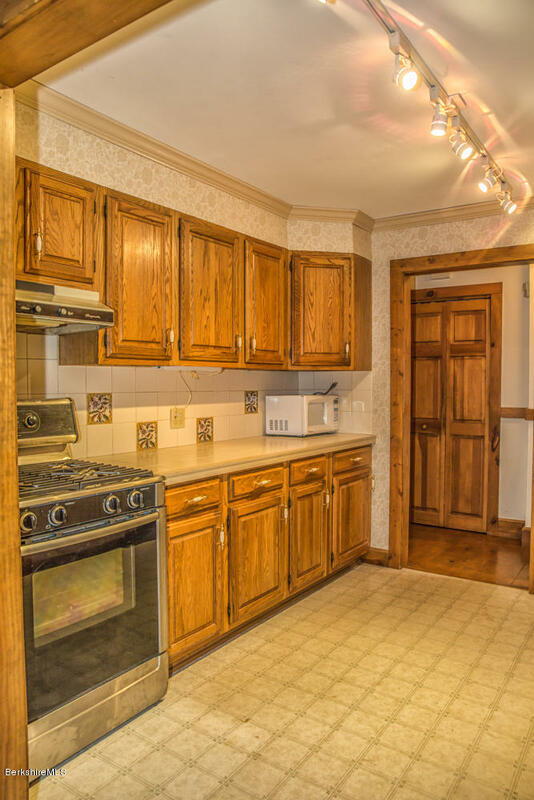 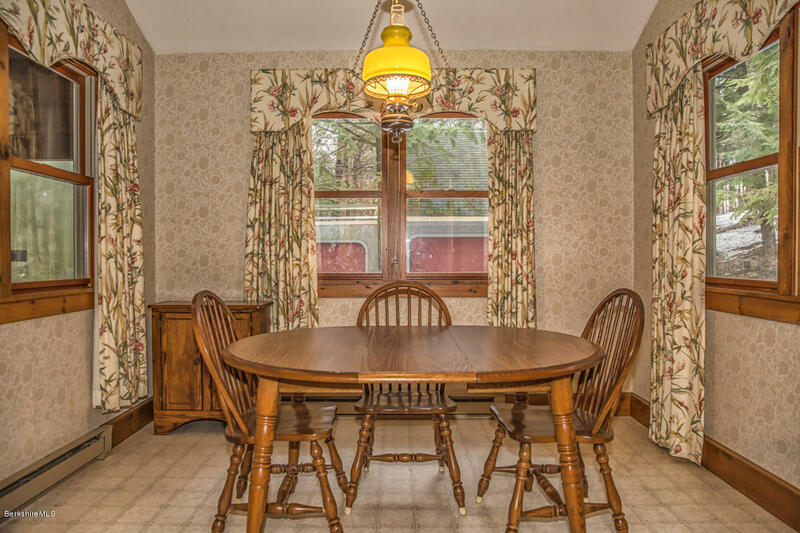 Kitchen with all updated appliances & attached dining area! 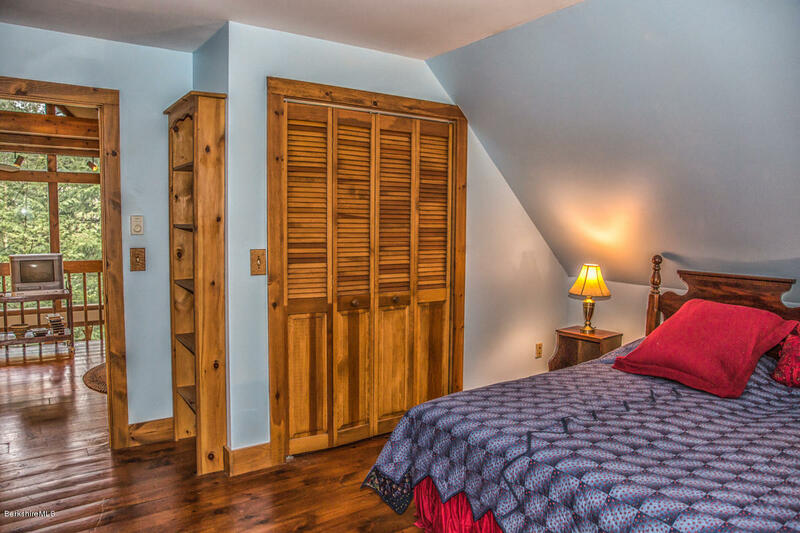 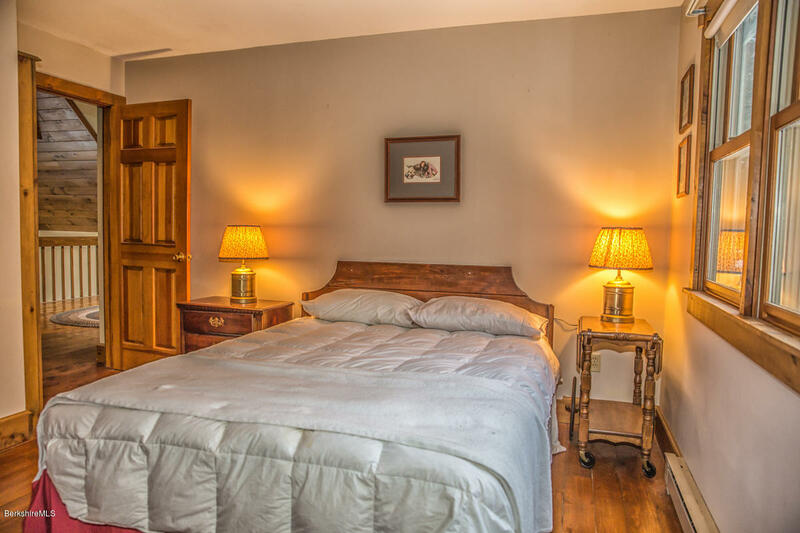 The 2nd floors offers large loft with skylight, 2 additional large bedrooms, and full remodeled bath! 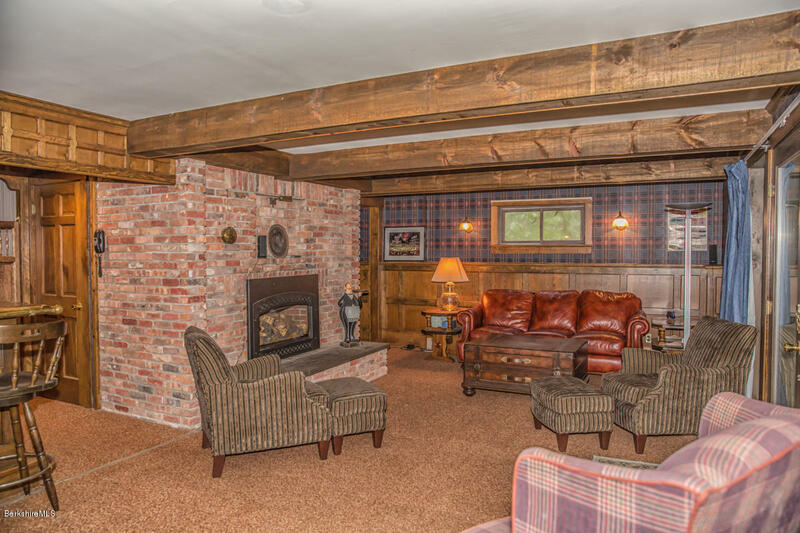 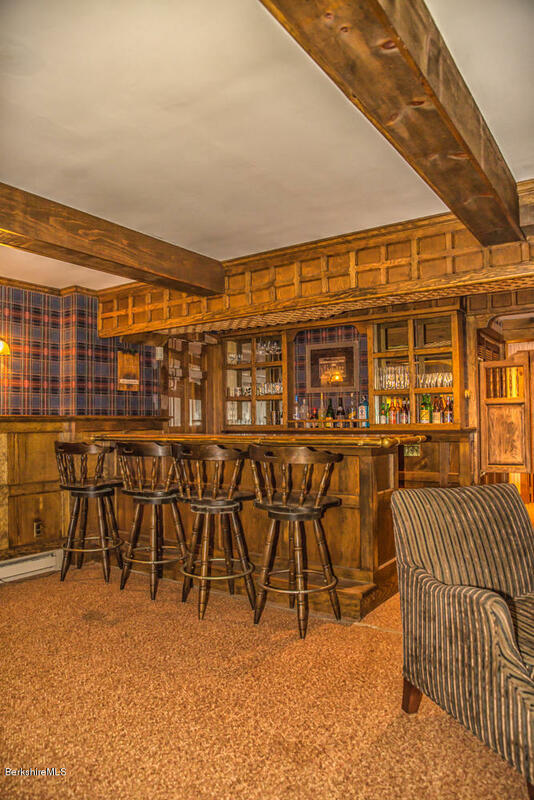 Family Room with English pub decor gorgeous beamed ceiling, brick gas fireplace, long Oak bar with chrome accent, and wall of windows/glass doors.